Code Line announces a free update to its popular "Collect for Output" application, Art Files 2 for Mac. 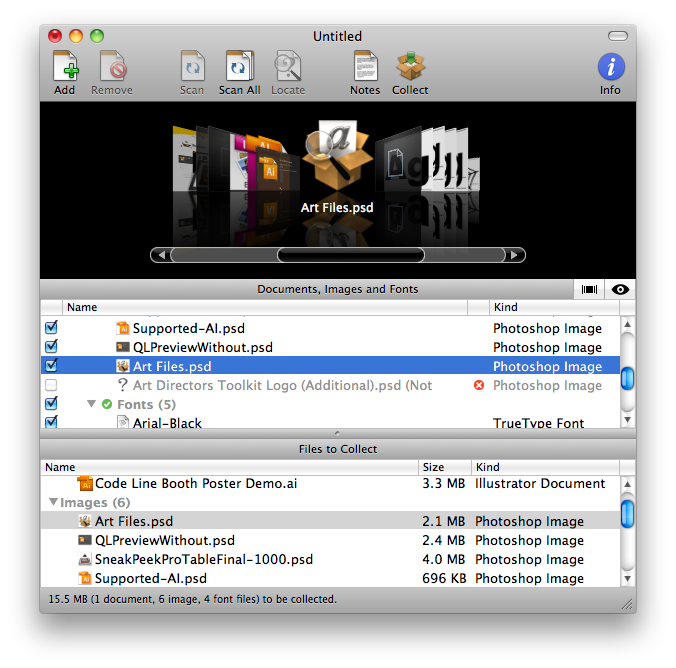 Art Files is a major timesaver for graphic designers that automates the collection of linked images and fonts contained in Adobe Illustrator documents. The new update adds support for Adobe Illustrator CS6 released earlier this month. Many designers are familiar with the 'Package...' feature in Adobe InDesign. Art Files offers that functionality for Adobe Illustrator documents ... We're excited about Adobe's CS6 launch and made support for CS6 a priority for all of our products. West Hills, California - Code Line is a proven developer of software geared toward improving the workflow of Graphic Artists. Its products include Art Directors Toolkit, Art Files, SneakPeek Pro, SneakPeek Photo and Clipt for Mac, and Color Expert and SneakPeek for iOS. For more information, visit their website. Copyright (C) 2012 Code Line. All Rights Reserved.